PepsiCo went on to say that Ole Smoky’s use of “Mountain Dew” would “be likely to cause confusion, to cause mistake or to deceive with consequent injury to [PepsiCo].” PepsiCo added that they will be “damaged” if Ole Smoky were to be granted a Mountain Dew trademark. Ole Smoky’s founder, Joe Baker, told ABC News that “mountain dew” has long been a synonym for the alcoholic beverage moonshine, and that the drink has had ties to the Appalachian Mountain region — which includes Tennessee, Kentucky and Georgia — since before Prohibition began in 1920. In a response to PepsiCo’s notice on the U.S. Patent and Trademark Office’s website, Ole Smoky argues that “Mountain Dew was first used as a trademark for a distilled spirits product around 1890 by John W. McCulloch,” and cited an article from 1897 referring to the spirit and a permit from the Alcohol and Tobacco Tax and Trade Bureau, which granted McCulloch the sole right to use the “Mountain Dew” name on distilled spirits. McCulloch incorporated his distillery in 1900 and renamed it Green River Distilling Company, according to a declaration filed by McCulloch’s great-grandson, Robert McCulloch, to the USPTO. Although the distillery would close down during Prohibition, Robert McCulloch told ABC News that he began the process in Kentucky of restarting Mountain Dew in 2004, with the intention of partnering with PepsiCo to sell his alcoholic Mountain Dew, but PepsiCo denied the request. A few years later, in 2009, changes in Tennessee’s liquor laws allowed moonshine to be legally produced and sold there. In 2015, he sold the rights and goodwill of the trademark for Mountain Dew for distilled spirits to Ole Smoky Distillery, LLC, through his own company, McCulloch Pre-Prohibition Brands, LLC, according to the response. In 2015, Ole Smoky Moonshine filed an application to trademark “Ole Smoky Mountain Dew Moonshine” for distilled spirits. PepsiCo holds over 20 trademarks for “Mountain Dew” — with different variations of spelling — for non-alcoholic beverages, cooking sauces, clothing and headphones, among other categories. 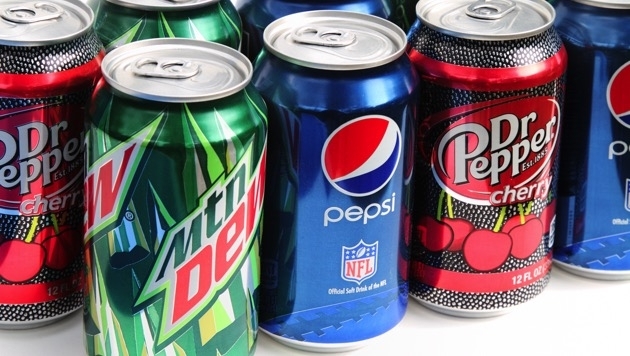 PepsiCo argues in its filing that its use of the Mountain Dew trademarks have “been continuous and they have not been abandoned,” and because of this, consumers have become accustomed to associating the Mountain Dew name with PepsiCo’s products. While PepsiCo claims Ole Smoky Distillery will cause confusion among consumers, Baker said it’s actually PepsiCo that caused the confusion in the marketplace first. PepsiCo has a history of linking its Mountain Dew soda to spirits distilled in the mountains, Baker said. He pointed to PepsiCo selling Mountain Dew in the 1960s in glass bottles labeled with images of the soda brand’s mascot Willy the Hillbilly and his gun. In 1966, the first TV commercial for Mountain Dew featured a Willy the Hillbilly and other people in a mountain region to the backdrop of bluegrass music. Baker, who said he was surprised by PepsiCo’s filing, hopes that the two companies can resolve their dispute so that they can both sell their Mountain Dew products.